explanation from medical plant Gandarusa or Justicia gendarussa Burm. 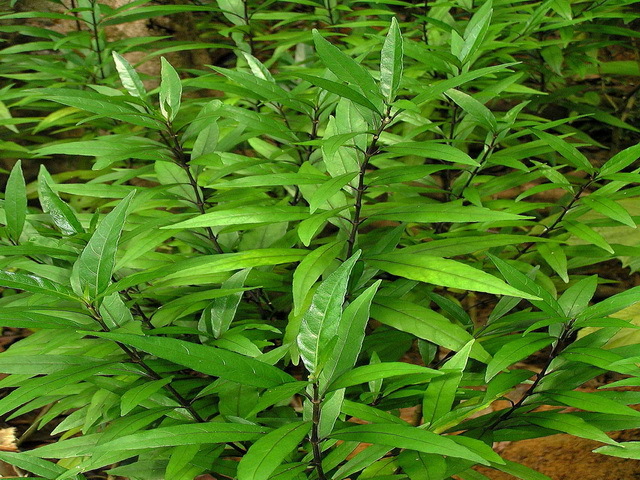 shrub, usually grown as a live market or grow wild in the forest, river embankments or maintained as a medicinal plant. In Java grows at an altitude of 100-500 m. above sea level. Grow, could reach 2 m high, much branched from near the base of the stem. Young branches dark purple, and when the color brown to shiny. Leaves opposite position, a single oval leaf shape with a length of 50-20 cm, 1 to 3.5 cm wide, flat edge, leaf tips pointed, short-stemmed seed-shaped base between 5 - 7.5 mm, dark green leaf color. Small flowers white or colored dice arranged in series in the form of panicle / ear contract, hairy armpits and spreading out from the leaves or the tip of the shaft. The fruit is elliptic.medical plant gandarusa have In addition to black-trunked (more popular) there are also green-trunked. 1. Injury hit (bruising), bone fracture fracture). USAGE: 15 - 30 grams, boiled or ground and then squeezed and drunk the water. Bark is used to induce vomiting, the leaves can be used to kill insects. which sakit.Tanaman fresh boiled water for washing.